We're so proud of our 3000 years old city of Zadar which has just recently been voted as the best European destination for 2016. For a city to get this award means that it's considered to be the perfect choice for a summer vacation or a city-break. So, all you have to do is book accommodation in this beautiful Dalmatian city and go sightseeing all the attractions that will leave you breathless. 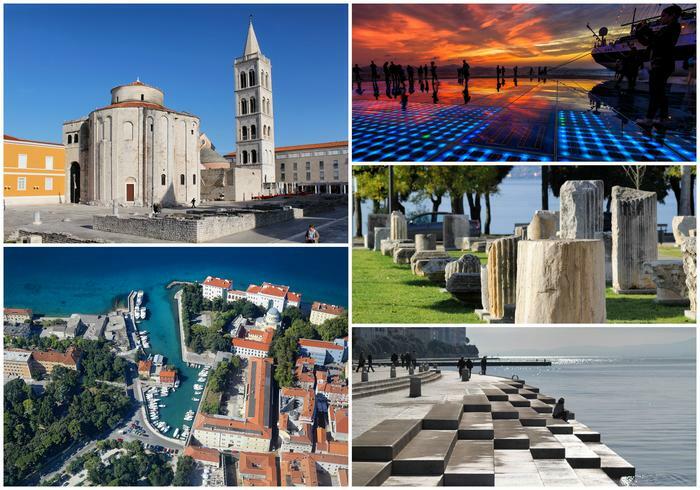 On February 11, 2016 organization 'European Best Destination' announced that Zadar won this prestigious title. The news quickly went viral, which of course contributed greatly to the promotion of Zadar and the whole Zadar Riviera. Zadar won against tough competition which included 20 popular cities such as Athens in Greece, which came second, Plovdiv in Bulgaria, which came third, Nantes, Paris, Brussels, Milan, Prague, Rome, Vienna, Madrid etc. Some 300.000 voters from all over Europe made their choice and influenced the result. Around 60.000 of them vote for Zadar. Zadar is situated in Dalmatia and is famous for its historical monuments which date back to the 8th century, such as town symbol - Church of St. Donatus. Zadar abounds with other churches and monuments constructed in the Romanesque style during the 12th and 13th centuries, as Cathedral of St. Anastasia (Croatian: Katedrala sv. Stošije) but also with unique modern attractions like the Sea Organ and Sun Salutation as well. Beautiful nature, crystal clear sea, great beaches and world famous colorful sunsets are just part of the charm of this city. Taking all this into consideration, it's only right that Zadar won this award!